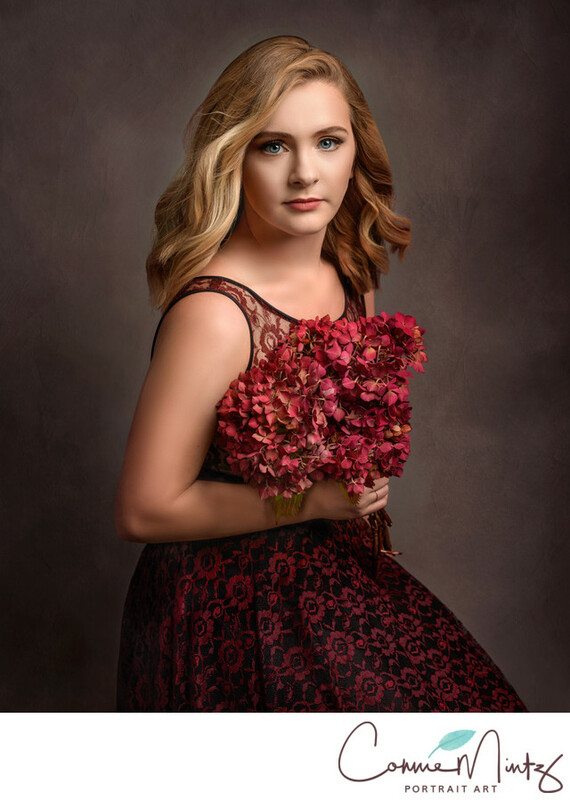 This classic High Scholl Senior portrait of Erin was photographed with her Great Great Grandmother's dress. Keywords: Retouched (45), Senior (21), studio (75). 1/125; f/4.5; ISO 64; 50.0 mm.